Clean shaven and comfortable, Gino and Christopher have been neutered and will be available for adoption soon! On July 24 a housing inspector in Union County investigating a complaint observed two dogs in cages on the back porch of the residence. Local Animal Control was called in and discovered a total of 14 dogs inside the apartment. Due to the terribly neglected condition of the dogs the Union County animal Cruelty Task Force was called in. Task force member Jeff Eyre, St. Hubert’s Director of Operations, and Animal Control Officers Pam Fyfe and Nina Cochran responded to the scene to assist with documentation and removal of the animals. Their owner agreed to give the dogs up so that they could get the care and sheltering they needed and be placed in good homes. Elizabeth Animal Services welcomed seven of the dogs and St. Hubert’s agreed to take the other seven. Removing the extreme, filth encrusted mats requires slow and steady hand. The boys are visibly happy to be able to sit up and romp around, even with their post-neutering cones! 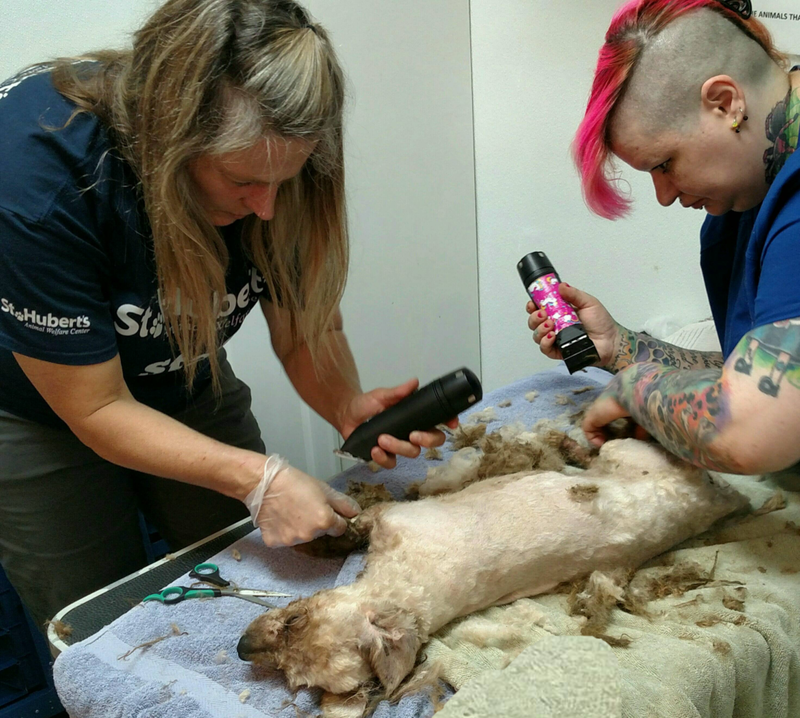 Much like the group of poodles we helped last year, these small curly coated dogs had not received the necessary grooming in a very, very long time—their coats were so matted that they were trapped in what amounts to fur straitjackets, hot and terribly uncomfortable. The first order of business was to provide sedation and meticulously cut and clip the damp, odorous fur so that they could move and eliminate comfortably. Underneath their skin was redness and irritation, and some had urine burns on their legs and feet. Thankfully, now that they are dry and the areas can be kept clean and medicated their skin will heal. All of them have been neutered here in our clinic. Some are going to need some dental work and other attention to ensure they are in tip-top shape. They were timid at first, both because of all they’d been through and also because it seems that they’ve not had lots of social interaction. Happily they all responded quickly to kindness, patience and St. Hubert’s special TLC and are a sweet little group of guys. We expect them to be available for adoption very soon. 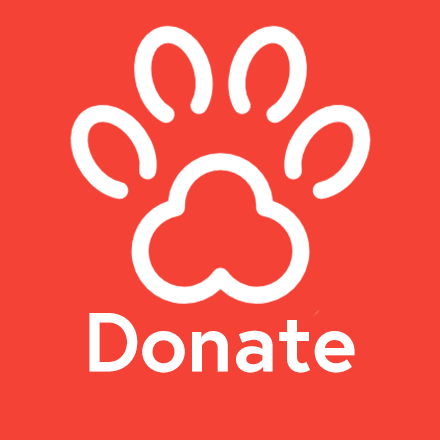 A gift towards the care of these special little dogs can be made below.